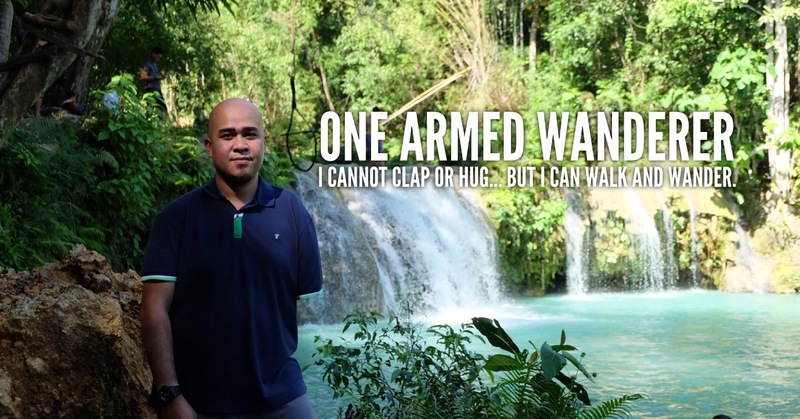 If you are visiting the Philippine’s Caraga region and will be staying in Butuan, there is a number of hotels and accommodations in the city. You may stay in a classy but expensive Butuan Grand Palace Hotel, Hotel Oazis or Almont City Hotel. If you are a backpacker or budget traveler, choose Gloreto Guest House as it has the cheapest rates for an overnight stay in Butuan City. Gloretyo Guest House is located in Ilang-Ilang st., Ochoa Ave., Butuan City. 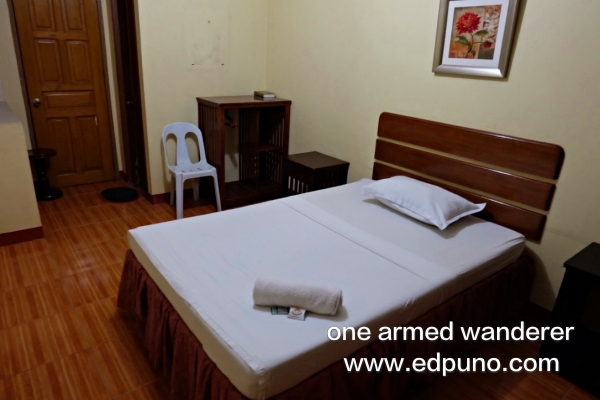 This cheap Butuan city accommodation is just a few minute multicab ride away from Butuan bus terminal, Butuan National Museum and Gaisano mall. If you are coming from Butuan’s Bancasi airport, Gloreto Guest House can also be reached via multicab. Tip: Book your discounted Gloreto Guest House room HERE. I only paid 642.50 Php instead of 799 Php for a Single Bed room. After a long bus-ride from Hinatuan in Surigao del Sur, I arrived in Butuan bus terminal at 4:50 PM. I took a special multicab trip (50 Php) to Gloreto Guest House and arrived at exactly 5:00 PM. I immediately headed to the reception area and was warmly welcomed by the receptionists. The receptionist assigned me to a single bed room on the second level of the hotel. The room smells good and is generally clean. It comes with an air-conditioning unit, an old-fashioned cable TV and a mini table that can serve as a work area. The bed and one pillow are just okay. Basic toiletries such as shampoo, soap and bath towel are provided. I was good with the room but the toilet and bath surprised me. There is an issue with the toilet flush and the faucet needs to be replaced. Good thing is that there is a hot and cold shower with an okay-ish water pressure. I could not complain and reminded myself that I was in a budget hotel. Overall, I was fine it with it. The room is clean and I had a good night sleep. 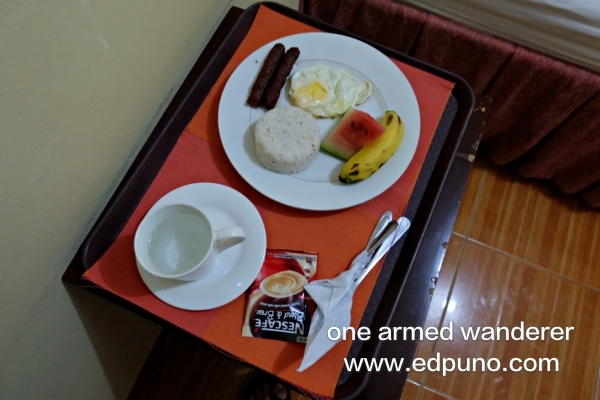 Gloreto Guest House Butuan offers complimentary breakfast from 6:30 AM to 9:00 AM. Since I was too tired from my Hinatuan trip, I woke up past 9:00 AM the next day. Well, I missed the complimentary breakfast! Surprisingly, one of the staff knocked on my door and asked if I want the breakfast. It made my morning since I will not have to spend for breakfast outside. I was very thankful to the staff for the room-serviced complimentary breakfast. Gloreto Guest House is definitely not the best hotel in Butuan City but it is the cheapest and most affordable. The room is clean and customer service is superb. You will not need to worry about your security as there is a guard manning in the hotel. If you are a backpacker or a budget traveller, I would definitely recommend Gloreto Guest House.